Do you need a new frame for your BP Liberator Hand Truck? 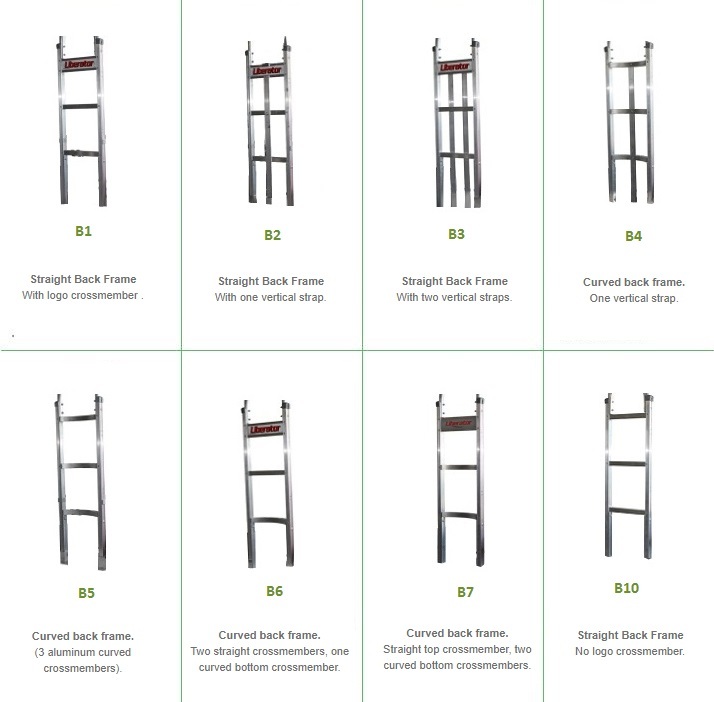 Choose from a variety of frame replacement designs below. Prices include delivery. Please make sure that you are getting the correct part and that it is compatible with your hand truck. Unfortunately, we will not be able to accept returns on parts. Other replacement parts are also available: replacement handles, replacement toeplates, and replacement wheels. Are you looking for a complete truck? Check out our Build Your Own BP Liberator Hand Truck. Customer service was excellent. They verified I was purchasing the correct replacement part before placing the order. Shipping was fast and the part work perfectly! I would recommend this company to anyone and would absolutely buy again from them. "I own a snack food route. I needed a cart and shopped for the best price. This site was lowest price AND FREE SHIPPING! The cart was easy to assemble. I got a fold down front for double stacking boxes. Works awesome. Thanks for a great product. "The Chair carts arrived at our wedding hall yesterday, we were able to assemble them very easily as you said."